One of the most significate prints of 2019 spring collection is the fresh and feminine wall paper print -inspired by the first flowers of the spring. Friday Long Dress are a part of a full wall paper print program together with Cat Wrap Blouse, Trina Trousers and Katie Dress that really sum up the first spring feelings. 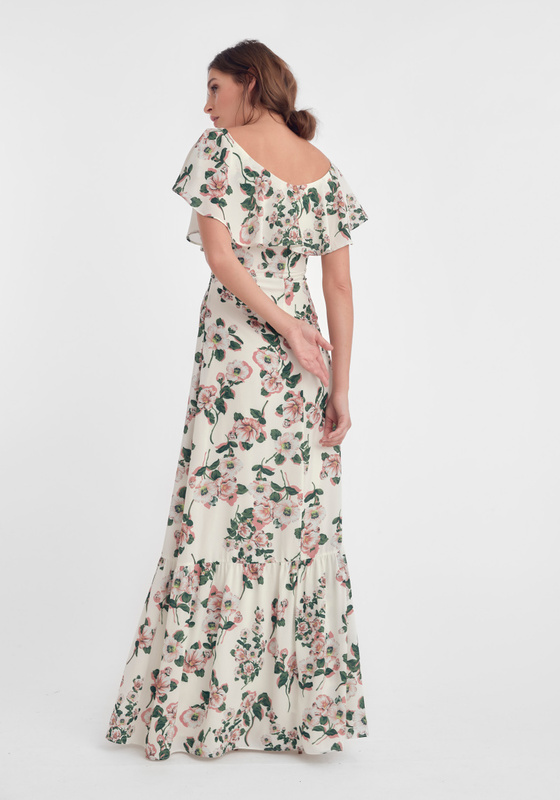 Friday Long Dress is one of the key pieces for the whole spring collection and a prospected favorite within the occasion dress category. Perfect for your garden party, your best friend’s wedding or that late evening dinner you’re heading to. 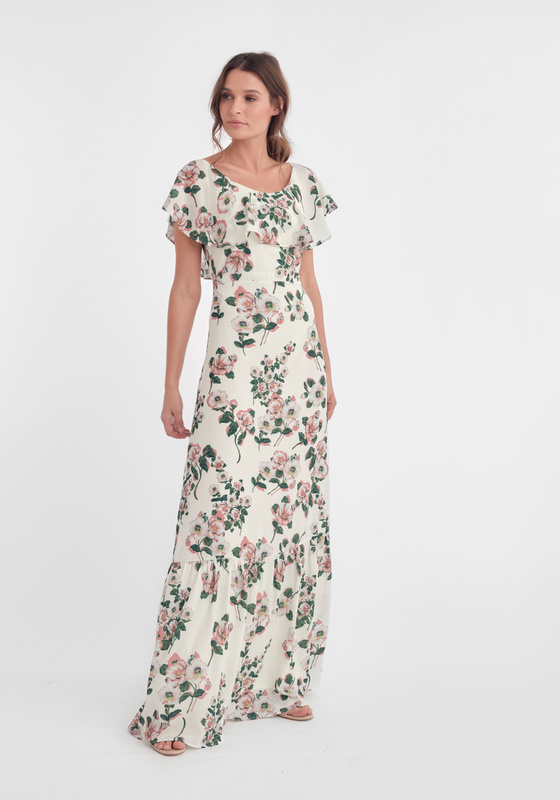 The long dress has a figurative bodice with a wider skirt that frills beautifully for the lower part. Off-shoulder with frill from shoulder overlapping to below chest for a cute feminine look. Closes with hidden zipper in side seam. 100% polyester lining. Can handle machine wash. Material is composed by 100% quality polyester. Regular fit true to size.